TROY WILSON has had a number of stories published in children’s magazines, including Chirp and chickaDEE. 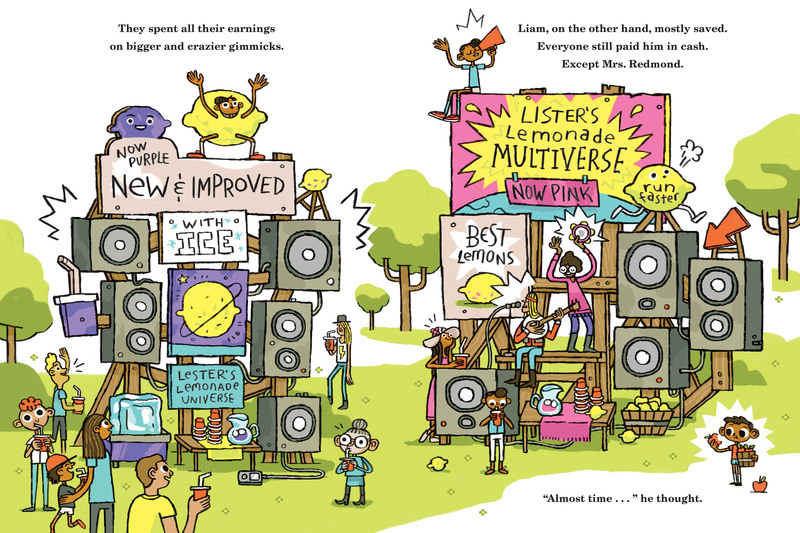 Liam Takes a Stand is his fourth picture book. He never ran a lemonade stand as a kid, and he claims he never competed with his younger brother — except when they played video games. Troy lives in Victoria, British Columbia. Lister and Lester are identical twins who do identical things. But their constant striving to outdo each other means their little brother, Liam, is always left out. 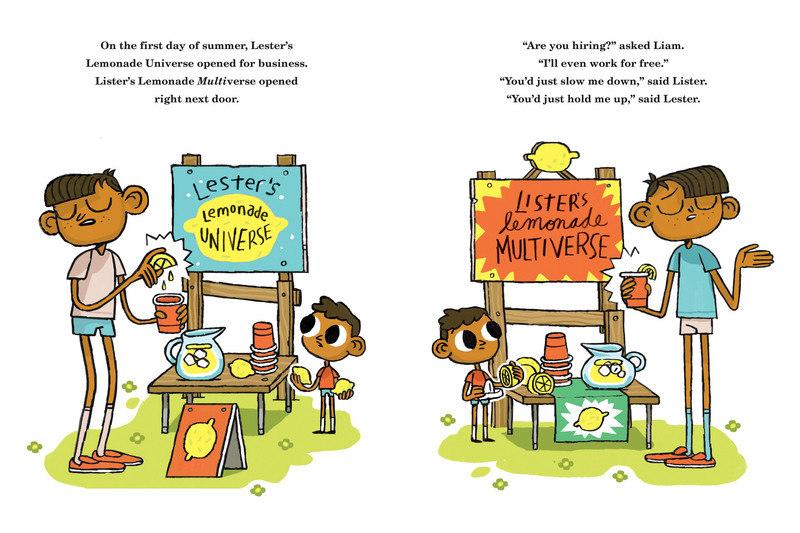 When Lester’s Lemonade Universe and Lister’s Lemonade Multiverse open for business, there’s no role for Liam. He does odd jobs around the neighborhood while Lister and Lester’s competition spirals into overdrive and their lemonade stands get increasingly, outrageously out of hand. But then Liam takes a stand with his own business venture — a simple model based on his observations of what not to do — and gives the twins a run for their money. Illustrated with lively cartoon-style art highlighting the hilarious one-upmanship, this is a spirited underdog story about siblings and strategic thinking.